Today, I’ve invited Vipin Jain, CEO of Retrevo.com, to talk about artificial intelligence in shopping. Retrevo is a BizSpark One company and an alumnus of Mobile Acceleration Week in Mountain View last August. Vipin Jain is the Co-Founder and CEO of Retrevo.com, one of the largest consumer electronics shopping and review sites in the world. Prior to Retrevo, Vipin was vice president and general manager of Extreme Networks’ Wi-Fi Business. Vipin has a graduate degree in physics and an undergraduate degree in electrical engineering. There’s one overwhelming stereotype in American sci-fi films: machines are not to be trusted. Some day they’ll grow their own consciousness and humanity will be doomed. But I refuse to submit to the evil-Skynet notion that permeates so many conversations whenever Artificial Intelligence (AI) and machine learning surfaces in popular culture. IBM’s Watson showed us that Robot Overlords – machines – can play Jeopardy!. 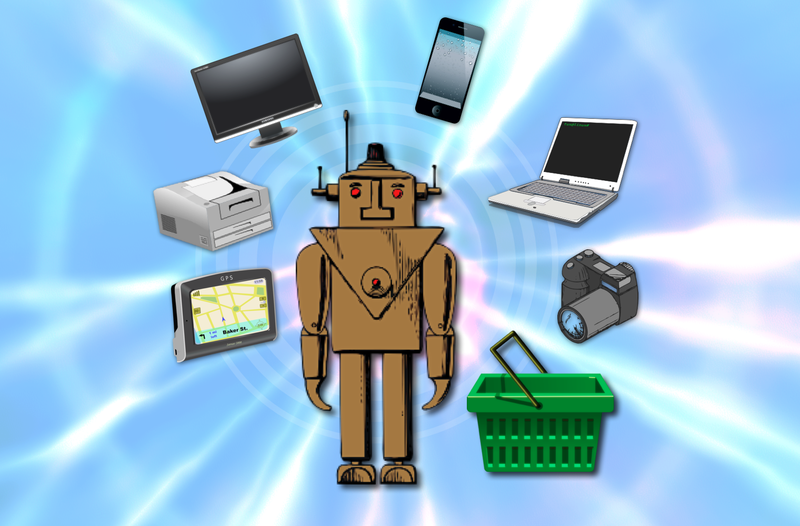 At Retrevo we’ve made machine learning technology super useful when shopping for consumer technology. Other applications of machine learning include robotics, speech recognition, etc. Personally, I’m thrilled about seeing this applied to medicine. I can imagine AI analyzing one’s past illnesses and efficacy of various prescriptions to help a physician choose the best medicine from the set they are considering. But, I’ll save that conversation for a later time. There are plenty of products in the world that make excellent impulse buys, like groceries and apparel. Across these categories, it’s generally safe to walk into a store, or read an online description and, without previously conducting any research; you can make a reasonable buying decision. However, there are other categories that require shoppers to conduct extensive research before making a decision. Categories like automotives and consumer electronics require shoppers to research potential purchases, track pricing, feature sets, market trends and more before completing a transaction. Unfortunately, humans aren’t very good at tracking and synthesizing this kind of web-wide, rapidly changing information. Take consumer electronics for example: 50,000 consumer electronics products are introduced to the market every year, from cameras to HDTVS to accessories. Each of these gadgets has its own features, multiple retailers with prices that change every day and, multiple reviews and ratings assigned to it. And, to top it all off, there is a constant influx of new technology replacing current gadgets in the market and rendering current reviews of gadgets obsolete. But there’s a conflict; it’s been proven that the more choices you give a person, the less likely they are to make a decision. (Don’t get me started on why retailers make the conclusion that the unlimited ‘shelf-space’ of a website as a reason to stuff more products into their catalogs, rather than offering curated buying advice to shoppers that’s relevant to them). A step in the right direction, existing recommendation engines, use site-specific data based on statistical analysis. In the end, the consumer wants a 360° view of a product based on web-wide data, and unfortunately that’s not something the human brain is very good at calculating. The good news is – AI can help! Machine learning systems like IBM’s Watson and Retrevo fall under a branch of computer science called Supervised Learning. The most important challenges in building such a system is collecting an input set that both is valid and comprehensive, processing the input data into pieces of information (or features) that can be mathematically processed (which is where the computers’ prowess lie), and tuning parameters of the underlying mathematical/statistical models to find an optimal machine performance with the desired accuracy and efficiency. However, there is a common misconception that it’s simple to train a machine to do what a human can, as if you could simply buy AI software, install it on a computer and have it work for any industry, but that’s simply not true. (Just ask any team developing self-driving cars and they’ll tell you it’s incredibly hard to get the outcome you want when the world around you changes). Think of it this way; training a computer is less like telling a child what to do and a lot more like raising a child to make good life decisions. Even the smallest amount of misinformation can have huge repercussions in the final outcome and the entire process takes years. All the money in the world can’t make it happen overnight. The great thing about AI is that once built, it can work at web-scale. For example, take all that unstructured data floating around on the web. The AI engine can normalize it, and translate it into user-consumable information in real time, providing a 360° view of the product. If, for example, you’re shopping for a car, AI can help you quickly learn if that car is safe, if it’s likely to break down, if it has a good feature-set, if other people and reviewers like it, what kind of horsepower it has, etc., and the best part about it is, as the data changes, you have a living snapshot of where that car is, anytime you need it. Now imaging having all of that data at your fingertips for every car in the market, for every possible cure for a disease, and for everything you can ever imagine yourself buying, and suddenly machine learning becomes much, much cooler. While this multi-dimensional view of a product is a new way to shop today, in the future, I believe shoppers will not only gravitate to this kind of technology, they will demand it. AI enables a vertical shopping experience, where research and commerce come together, making for smarter shoppers and eventually, loyal customers. This new kind of AI driven, content-commerce marketplace will require a new level of transparency among retailers, as it would be tempting for some to change their recommendation based on the inventory they hold. In contrast, Retrevo solved this problem by building a marketplace with many partners who could fulfill the order for us. We added the world’s first-ever “Do Not Add To Cart” button – proof that we really have the consumer’s best interest at heart. Whenever Retrevo’s AI system deems a product a “bad buy,” a “Do Not Add To Cart” button will appear next to it. While I’m still waiting for my proverbial flying car, it’s nice to know that AI is rapidly enabling humans to boldly go where no shopper has gone before. And I’m confident we will see more and more AI enabled e-commerce businesses in the coming years and decades. 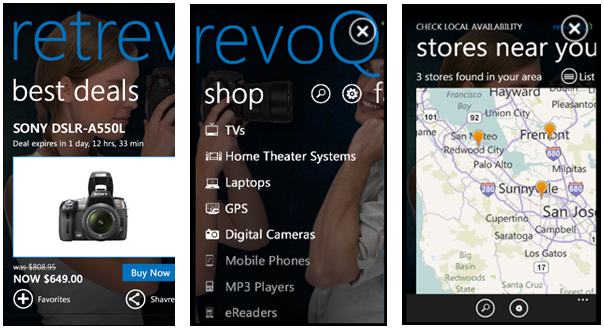 You can download Retrevo’s Windows Phone 7 app here.